The girl in the red dress looks like a normal girl dressed for a prom, but there is a very good story behind this photo. 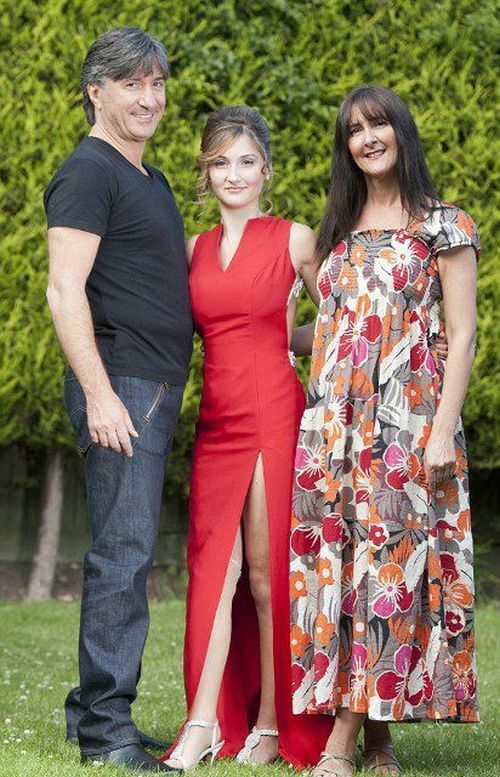 15 year old Isabelle Papandronicou had her leg amputated due to a congenital disease. Isabelle was dreaming about attending her school prom in high heels. But she was fitted with a conventional prosthetic leg that meant she was limited to wearing flat shoes. Her parents helped raise the funds for the new leg, which cost $9,000 and Isabelle was able to attend prom in high heels.